As speculation continues to rumble on about his future, Frank Lampard has reiterated his desire to stay loyal to the Blues. Speaking to the press, the England international has claimed that his future lies completely in the hands of the club, although has stated that he would prefer to end his career at Stamford Bridge. Chelsea’s Portuguese right back Paulo Ferreira could be set to leave Stamford Bridge in the summer after it was revealed that Newcastle United could turn their attention towards the Portuguese should they fail in their attempts to bring French defender Debuchy to the club. Newcastle United have been holding talks with the French left back after his elimination from the Euro 2012 with the French national team. 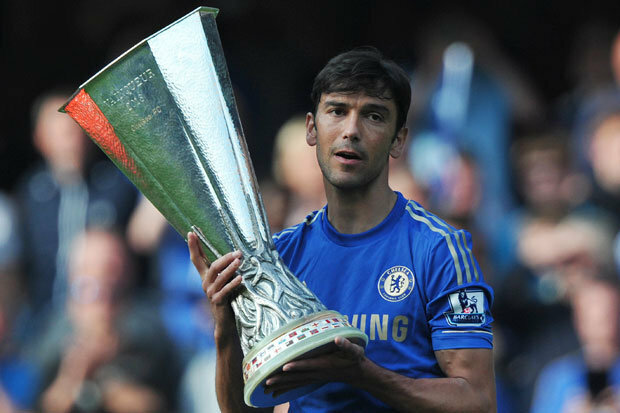 Chelsea defender Paulo Ferreira has said that he could be the answer to the defensive crisis Chelsea are facing at the moment ahead of the crucial Champions League final encounter with Bayern Munich on May 19. Defensive duo of John Terry and Branislav Ivanovic are currently suspended for the final, while it looks highly doubtful that the two other centre backs Gary Cahill and David Luiz will be fit for the final. Hence, there is thought that Chelsea interim manager Roberto di Matteo with look at the possibility of fielding José Bosingwa and John obi Mikel in the centre of defence. Chelsea defender Paulo Ferreira has said that Chelsea can go by the route of Liverpool to winning the Champions League this season. Paulo Ferriera, the star player of Chelsea club recently had quite a difficult time playing his normal game as he had to wear a mask in most of the crucial matches in fear of not hurting his already injured and fractured cheek bone. Paulo Ferreira was eagerly hoping for a quick recovery and made sure he would wear the mask constantly throughout his training sessions during the entire Christmas Eve week.